A lot of schools don’t set homework. I think they should. Here’s why I think you should set homework for your kids, no matter what their age or ability, from the very first year of their education. Homework teaches routine. Our kids walk home, have a drink and a snack, then they start homework. It’s routine, they do it every day, and they know its a non-negotiable. Homework teaches “self-starter skills”. My kids have been doing their homework every day after school for year now, and they automatically do it. it’s just a part of their lives. Even though my youngest is just eleven (and has autism! ), she’s already a self-starter. As an aside – did you know that being a “self-starter” is one of the skills many employers seek? Homework teaches concentration. Homework is a truly quiet time in our home. The kids – all four of them – concentrate and focus on their work. 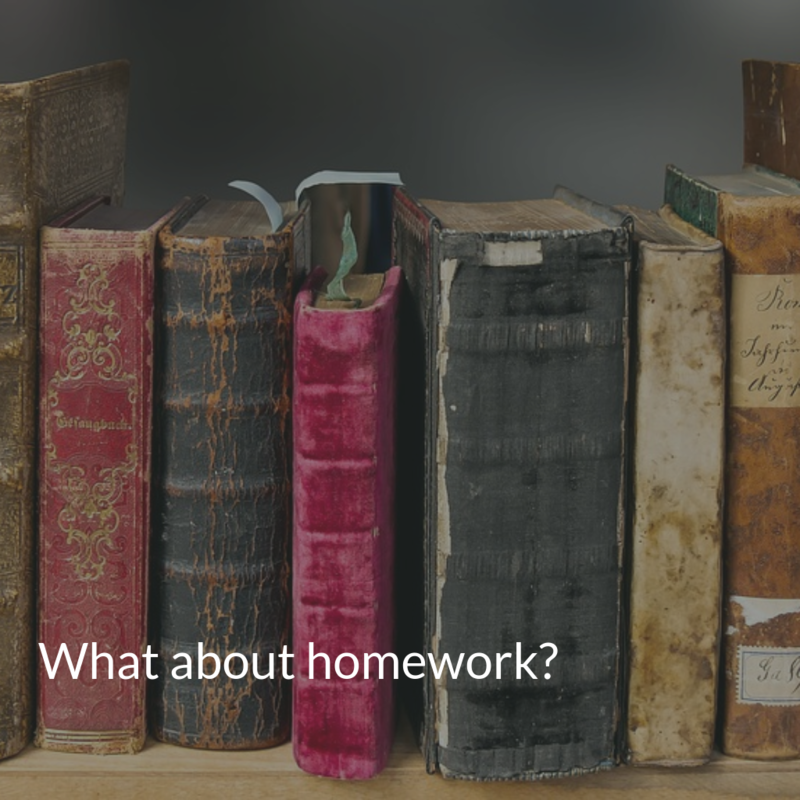 Homework teaches the kids that we value education and learning. Homework is important in our home. Because we show this to the kids, rather than just telling this, the kids truly understand that education is important to us and is a core family value. Homework helps our kids get ahead of the pack. Our eldest (17) does 2 hours of homework every day. Our youngest (11) does an hour a day. All are getting between 5 and 10 hours of extra education that many of their peers are not receiving. That really helps! Start with half an hour of reading every day. Reading and comprehension are vital skills that will facilitate learning in all subject areas as your child moves up through the education system. It doesn’t matter what they read – anything will do – but I recommend the local paper for comprehension and classic novels for grammar. The times tables are a good place to work. Dd you know that many education systems don’t teach the times tables? To me, as an educator, this is akin to not teaching the alphabet! Revising the times tables is never time wasted! Creative writing. Encourage your child to write short stories, poetry and even novels. They may choose to try out NaNoWriMo and have a go at a full length novel – my 13 year old son has already written two short novels and will attempt his first 50,000 word novel this year! They can do it – they just need your encouragement! Creative art. Encourage your child to draw, design and create. All of this is great for their brains and for their creativity. They may even discover a new passion. Try to encourage long-term, bigger projects that require dedication and planning over several days or weeks, rather than short term, smaller projects.